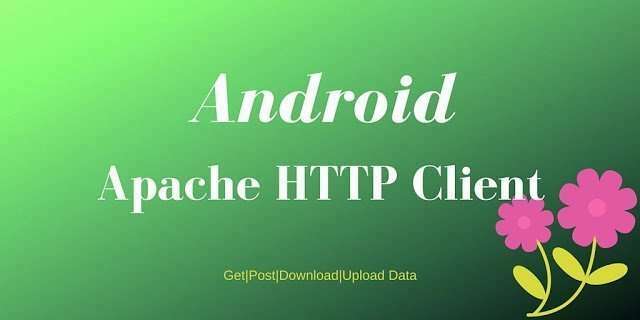 In this post I want to describe how to build an Android Apache HTTP client . In one of my post I describe how we can use HttpUrlConnection to create a client. Using Apache HTTP library I want to explain how we can send POST request, download images and upload multipart binary data. Moreover I will describe how to exchange cookies. In Android 6.0 Marshmallow the Apache HTTP client has been removed. 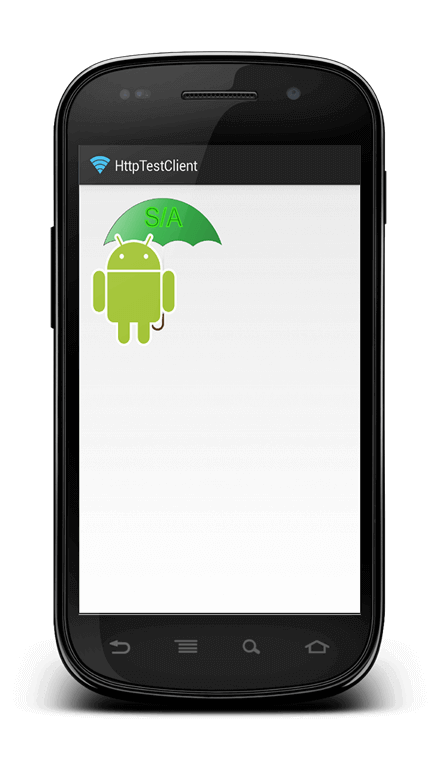 So if you are planning to implement app that supports Android 6.0 consider to use Android Http client. As we know already POST and GET are the basic method that we can use to exchange data with a remote server.As example I will send to a remote server some data in text format (by now). So the first step is creating a DefaultHttpClient that is used a wrapper to send data. where url is the url we want to invoke. To send data we simply have to create a list of NameValuePair a simple class that holds the name and the value of our parameters we want to send. At the end we have a string that we can use to update our UI. Do you know other Android alternative libraries to handle HTTP connections? Read this tutorial to know how to use alternative Android libraries. Another common operation is downloading binary data from sever. 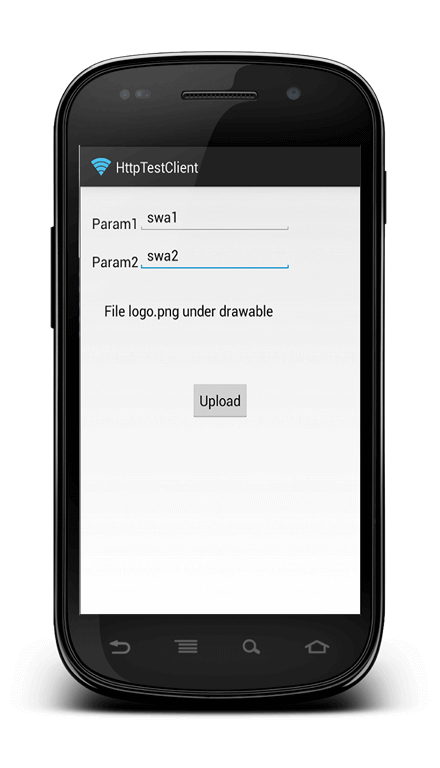 In this case, we want to download an image from the server and show it in our UI. One interesting aspect in HTTP protocol is the cookie management. As we know HTTP is a stateless protocol so using cookies we can persist some information across HTTP requests. As example we can suppose to make two HTTP request: one where we invoke a URL and the server returns a cookie containing some information and another one where we send back to the server the cookie. At line 1 we create BasicHttpContext to handle cookies and at line 2 we set the store inside our context and finally at line 7 we execute the request passing the context too. One thing we have to notice is that the DefaultHttpClient is always the same so that we can re-use the cookies. You know how to upload and download file from cloud storage? 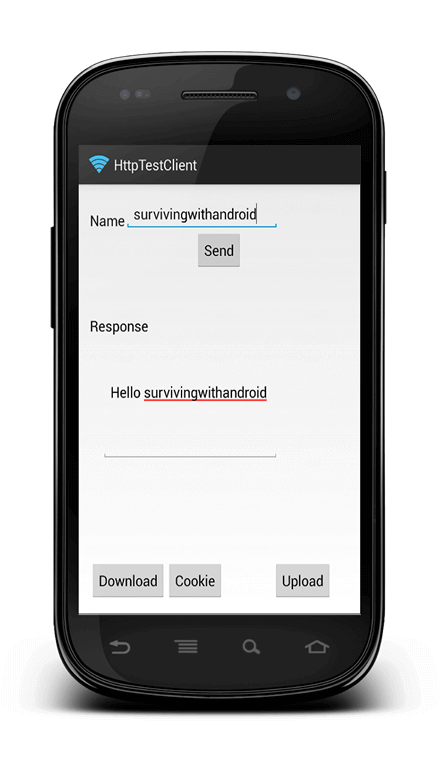 I wrote an interesting post named Android cloud storage API tutorial that can save a lot of work when managing remote files. Google now discourages the use of DefaultHttpClient() and instead recommends HttpURLConnection. I looked into HttpURLConnection to rewrite my old DefaultHttpClient but damn HttpURLConnection is an ugly API! Do i need any PHP script under my "jack" directory?